We offer onsite chair massage at workplace plus relaxation, therapeutic, sports & pregnancy treatments at our clinic. Welcome to Incorporate Massage Invercargill (IMI) where I strive to improve others’ lives by enhancing wellness in the workplace with the high quality service of onsite chair massage. I work to improve the lives of my clients and improve the lives of those within my clients’ organisations as massage therapy is my passion and client care is my focus. Relief from stress, pain, with improved staff morale and happier, healthier people are just some of the benefits of what I can do within a workplace by providing onsite chair massage. In addition, I.M.I also offers a range of other massage services at my clinic where staff members, clients and people from the public can book a massage session of relaxation, therapeutic, sports, pregnancy or hot stone treatments. Renee is a qualified massage therapist who has a Bachelors degree in Therapeutic and Sports Massage. Tis' the season to be Jolly, FaL lalalala Lalalala. Just want to wish everyone a very Merry Christmas and Happy Holidays to you all. I can't believe its been 2 years, thank you and I'll see you in the new year. Your Massage therapist, Renee. Hi everyone, just a quick update. My phone has had a few technical issues over the weekend and will be sorted by this afternoon. Apologies if I have missed your calls or text messages, I will be in touch this afternoon. Alternatively, you can facebook message if needed. Sorry for any inconvenience. Your Massage therapist, Renee. My phone is broken and unable to be fixed. It has all upcoming appointments so I need your help. Please contact me with your name and what date & time your next appointment is. Sorry for this inconvenience, your massage therapist Renee. 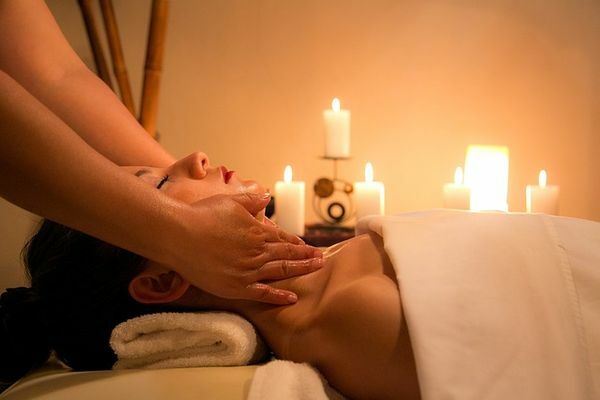 Relaxation massage is a treatment that uses continual contact and long, flowing strokes which warm the body and help the body and mind to relax. Happy hormones such as dopamine, serotonin, and endorphins are released which give that post massage glow. Relaxation massage has also been shown to reduce the stress hormone cortisol, which in high levels can contribute to sleep deprivation, anxiety and depression. Onsite chair massage can be applied at workplaces (OHS) & events. It can be set up in a semi-private area as clients remain fully clothed & the program is tailored to your needs. Get a quote today!